Zithromax is an effective antibiotic that belongs to the macrolides group. It is successfully used for the treatment of bacterial and intracellular infections of various locations. The drug is prescribed for conditions including skin lesions, chlamydia, and pathology of the ENT organs. 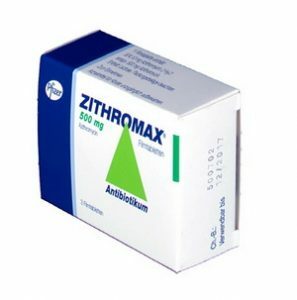 The active element of Zithromax is azithromycin. 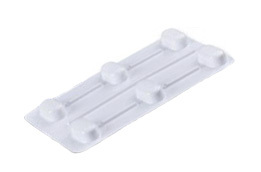 The medication is produced in the form of capsules for oral administration. Zithromax capsules contain 250 mg to 500 mg of the active ingredient. Azithromycin belongs to the group of azalides, a subcategory of macrolides. It inhibits the development of bacterial microorganisms. In a significant concentration, the agent produces a bactericidal effect. Indications for use of this medication include infectious pathology of the lower parts of the respiratory system. This category includes acute bronchitis and relapses of chronic pneumonia, including forms caused by atypical microorganisms. Infectious lesions of the upper parts of the respiratory system and otolaryngological organs, which include sinusitis and pharyngitis, can also be treated using azithromycin. Additionally, this drug is used to treat tonsillitis, otitis and early stages of Lyme disease. Regarding infectious lesions of the dermis and soft tissues, this medication helps with the appearance of acne eruptions and erysipelas. It is also used for impetigo and secondary dermatoses. Azithromycin can also be used to manage infectious lesions of the genitourinary system that are provoked by chlamydia. This group includes cervicitis and urethritis. Zithromax should be taken orally once a day. Consumption must be done one hour before meals or two hours after. The capsule must be swallowed whole without chewing. Zithromax is prescribed for adults and children older than 12 years of age with a body weight of more than 45 kg. The dosage of Zithromax in adults depends directly on their diagnosis. For the treatment of elderly patients older than 65 years, the same dosages are used as those for the other patients. Nausea, abdominal pain, disorders of the stool, vomiting, flatulence, constipation, and pseudomembranous colitis. Allergic reactions such as itching, rashes on the skin, and/or hives. Photosensitivity may also develop. In difficult situations, there is a risk of angioedema and anaphylactic shock. Another dangerous consequence is Stevens-Johnson syndrome. Dizziness, convulsive syndrome, and/or drowsiness. Some people experience headaches, asthenia, anxiety, insomnia, and aggressiveness with the use of this drug. Noise in the ears or problems with the perception of taste may occur. Eosinophilia, neutropenia, and thrombocytopenia may be observed. There is also a risk of acute kidney failure and interstitial nephritis with Zithromax use. In some cases, the medication causes vaginitis and candidiasis. With excessive use of the antibiotic, there is a risk of overdose symptoms. This condition is accompanied by the appearance of vomiting, violations of the stool, and temporary hearing loss. Copyright ©Antibioinc.com. All rights reserved.